Filming a bridal fashion video immersed in the beauty of nature at Wethele Manor on a gloriously sunny day is pretty much the perfect brief! 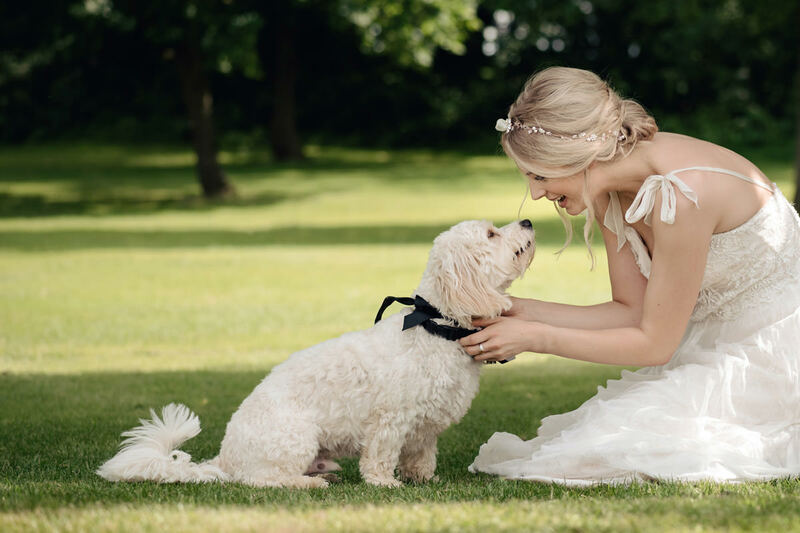 This shoot was to create a promotional video for Serendipity Brides, a wedding dress boutique in Northamptonshire. Lisa, who owns the boutique, pulled a brilliant team together and we had lots of fun creating and filming a few looks. We were blessed with one of the hottest days of the year and Wethele Manor was the most wonderful place to enjoy it. Feeling the warmth of the sun, being surrounded by beautiful flowers and long grasses blowing in the breeze, and watching busy bees and little birds fluttering about put everyone in such a great mood. Shoots are so often frantic and exhausting but today felt deliciously slow and peaceful. I don’t think I’ve ever left a shoot feeling more chilled out! Being able to multi-task work and self-care at the same time is brilliant and I’m ever so grateful to be able to create this life. Wethele Manor is quite close to home but this was my first time working there. It’s surrounded by countryside and the grounds are beautiful; incredibly well looked after but with a very gentle, serene and natural energy. I loved the little chalet we had for doing hair and make-up; it was totally private in a secluded setting with doors that opened out onto the water. It was like being on holiday for the day. And a few photos too; because I can’t go anywhere and not take photos! You’ll want to see these; because there’s a super cute dog! Are you planning a wedding at Wethele Manor? If you are, I would LOVE to chat with you about your photos and/or video. Have a look at our portfolio and if you like what you see, get in touch for more info and to check availability.